Victoria and Vancouver clients looking to increase their safety and security while driving choose dash cameras from Ralph’s Radio. This relatively simple technology provides our customers with high-resolution video of everything that happens in front of and behind your vehicle. If you have ever wished that something you just did or saw could have been captured on video, then you are an ideal candidate for a dash camera. 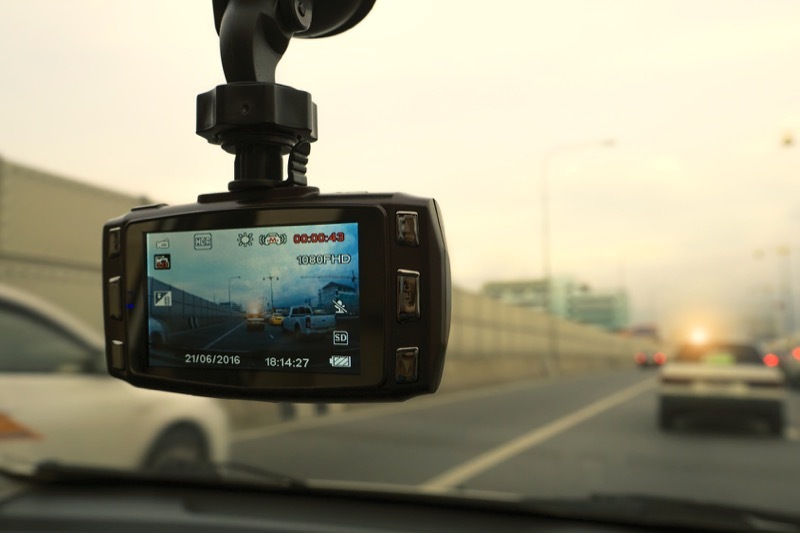 We offer dash camera solutions from companies like BlackVue, Thinkware and WayLens. These camera systems mount to the inside of your front window and record everything that happens in front of you. The camera systems are designed to handle high- and low-light conditions, as well as sudden changes in light levels. Many systems include a second camera that can be used to record the interior of your vehicle or what happens behind you. The camera systems we offer start recording as soon as you start your car. There are no buttons to remember to press. The cameras keep recording the entire time you are driving. Once the memory card is full, the system records over the oldest file. Trigger events caused by the on-board shock sensor or a mechanical button are stored separately and never over-written. Several products include a parking mode, which takes over after you shut off your car. The camera will continue to monitor the area in front of your vehicle, but will only store video information when it detects movement. The shock sensor built into most of the camera systems will also trigger the system to store both audio and video information. Most of the dash cameras we sell include a built-in GPS receiver. This receiver will store your location information, as well as your speed, within the video file. Windows- and Macintosh-based playback software will show your videos and overlay your location on Google maps, so you know how fast the vehicle was traveling and where. If you operate a fleet of vehicles, installing dash cameras can help you reduce costs and improve driver safety. When your employees know they are being recorded, they drive more safely and waste less time. The gas and efficiency savings alone can pay for the camera system quickly. Some dash cameras mount to the windshield with a suction cup and are powered from your cigarette lighter. We would be happy to offer our professional services on these systems to install a hidden power connection and conceal the wiring. More advanced systems that include a secondary camera should be installed professionally. Our technicians know how to route wires safely and secure through your vehicle. We take care to avoid safety systems like air bags. Once we install a camera system for you, most clients forget they even have it until they need it. If you are shopping for a dash camera system, drop by Ralph’s Radio in Vancouver or Victoria. We offer everything from single camera solutions to systems that are designed for motorsports and off-road adventures, and everything in between. Let our team know what you want to achieve, and we will make it happen. For more information about our dash camera systems, send us an e-mail using our online contact form.